I have been busy since my last blog post. 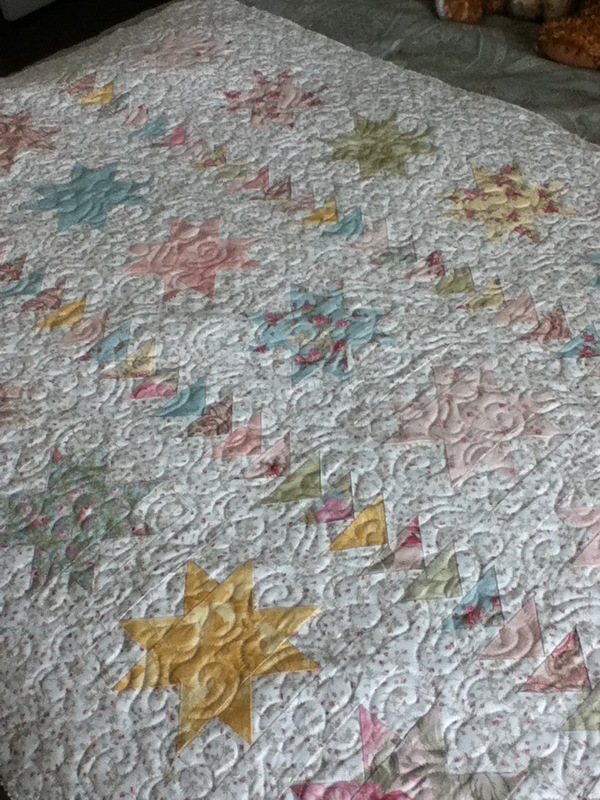 The Jubilee quilt is quilted, washed and given to my daughter. Also finished are two more little baby quilts ready for binding. The nursery for our granddaughter is starting to come together - just 4 weeks to go until she is due to arrive! 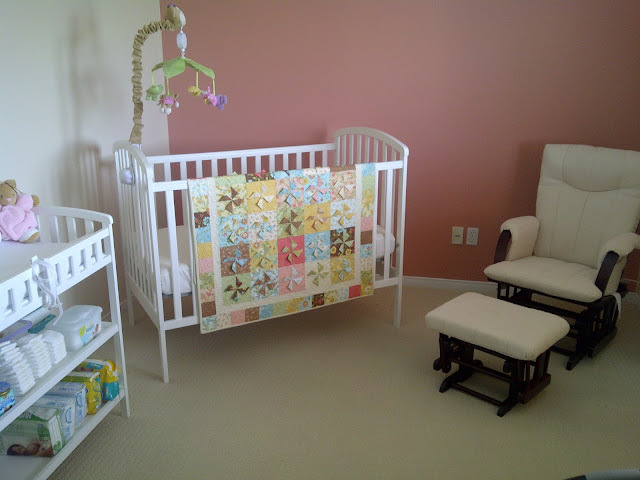 A few more things need to be put in place but you can see the pinwheel quilt is already there on the crib waiting for her. 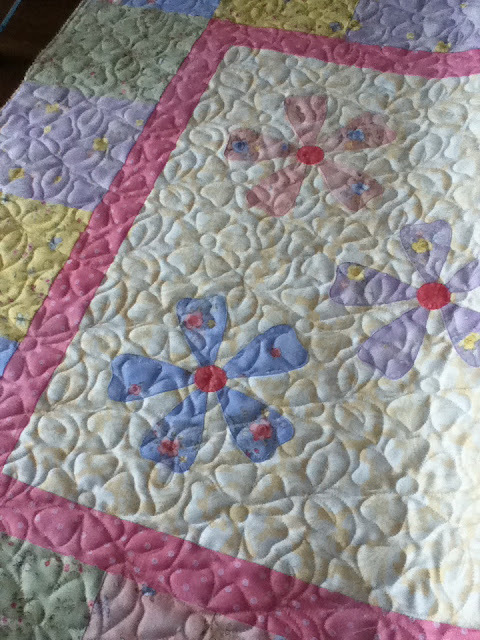 I just love the quilt pattern ( very fond of dense all over patterns). The nursery looks gorgeous. The quilt is so sweet, and the baby room looks just perfect!